Here’s a great story about an iPad 2 that was returned to Apple. Apple is keeping a close eye on iPad 2 returns as part of its QA process. The company wants to identify any problems in early production units, like the light-bleeding backlights we’ve been hearing about. But a pair of executives at Apple got wind of the story and sent him a replacement iPad 2 with a new sticky on it. Guess what it said? If the lucky fellow reads this, please get in touch. We’d love to hear more. Exclusive: Apple will remove home button on next iPad and iPhone; Photo Booth and iLife coming? We just got some pretty wild information from one of our Apple sources and while it’s hard to believe at first, it does make sense. We have exclusively been told that the reason Apple just added multitouch gestures for the iPad in the latest iOS 4.3 beta is because the iPad will be losing the home button. Yes, we are told that Apple, at some point in time, will remove the home button from the iPad’s design. Instead of button taps, you will use new multitouch gestures to navigate to the home screen and also to launch the app switcher. That’s not all, however. In addition to the home button disappearing from the iPad, we’re told that this change will make its way over to the iPhone as well. Our source said Apple employees are already testing iPads and iPhones with no home buttons on the Apple campus, and it’s possible we will see this new change materialize with the next-generation iPad and iPhone devices set to launch this year. Additionally, we’re told Apple’s popular photo-taking application, Photo Booth, will be appearing on the next iPad. It’s also very possible that we’ll see iLife apps for iOS unveiled around the iPad 2 release as well. It has been said that Steve Jobs didn’t want any physical buttons on the original iPhone at first, and it looks like he may soon get his wish. 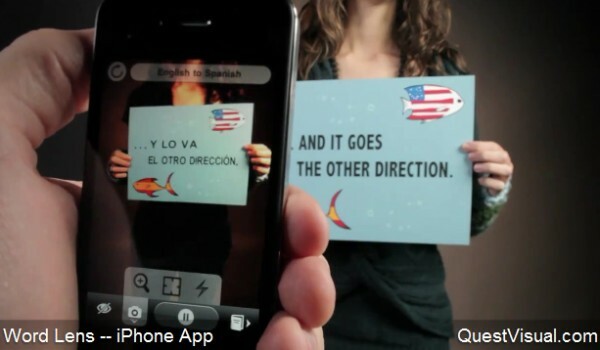 Augmented reality and optical character recognition have just come into their own, beautifully intertwined into an instant translation app for the iPhone. Download Word Lens, pay $4.99 for a language pack, then point it at a sign and watch as it replaces every word with one in your native tongue. It's a little bit like Pleco, but without the whole language learning stuff. We just gave it a spin, and while it's not quite as accurate as this video claims, it's still breathtaking to behold -- especially as it doesn't require an internet connection to do any lookup. Sadly, it only translates to and from English and Spanish for now. Still, Babelfish, eat your heart out. Update: Looks like it only works on iPhone 3GS, iPhone 4 and the latest iPod touch for now. Word Lens augmented reality app instantly translates whatever you point it at originally appeared on Engadget on Fri, 17 Dec 2010 00:09:00 EDT. Please see our terms for use of feeds. Legendary Internet analyst Mary Meeker has some statistics she thinks every Internet executive should know, including that iOS is growing faster than almost any other Internet technology in history. At the Web 2.0 Summit in San Francisco, the Morgan Stanley analyst led a rapid-pace presentation on the state of the Internet industry, revealing the state of mobile (Apple and Google are winning), the most under-monetized asset in online advertising (Facebook) and even the secret sauce of Steve Jobs (he has the mind of an engineer and the heart of an artist). 46% of Internet users live in five countries: the USA, Russia, Brazil, China and India. There are 670 million 3G subscribers worldwide, 136.6 million in the U.S. and 106.3 million in Japan. 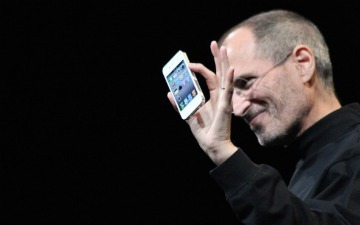 iOS devices reached 120 million subscribers in 13 quarters, far faster than Netscape, AOL or NTT docomo’s growth rates. Nokia and Symbian used to own 62% of the smartphone market (units shipped). Now it’s only 37%, mostly due to Android and iOS. The average CPM for social networking sites is at only $0.55. Meeker thinks this will increase and normalize in the next few years. She also believes that inventory on Facebook is one of the most under-monetized assets on the web. It took e-commerce 15 years to get to 5% of retail. Morgan Stanley predicts mobile should get to that same level in five years. Streaming video is up to 37% of of Internet traffic during traditional “TV hours.” Netflix is the biggest contributor to this, followed by YouTube. Seven of the companies that were in the top 15 publicly traded Internet companies in 2004 are not in that list in 2010. Interest payments and entitlement spending is projected to exceed government revenue by 2025. In other words, the U.S. government is facing a real financial crisis soon. We’ve included Mary Meeker’s full presentation below. Let us know what you think of her statistics and trends in the comments.